Qigong (Chi Gong) and Taijiquan (Tai Chi Chuan) are healing, and Taijiquan also martial, when regularly practiced with attention to internal and movement principles, not just external choreography. 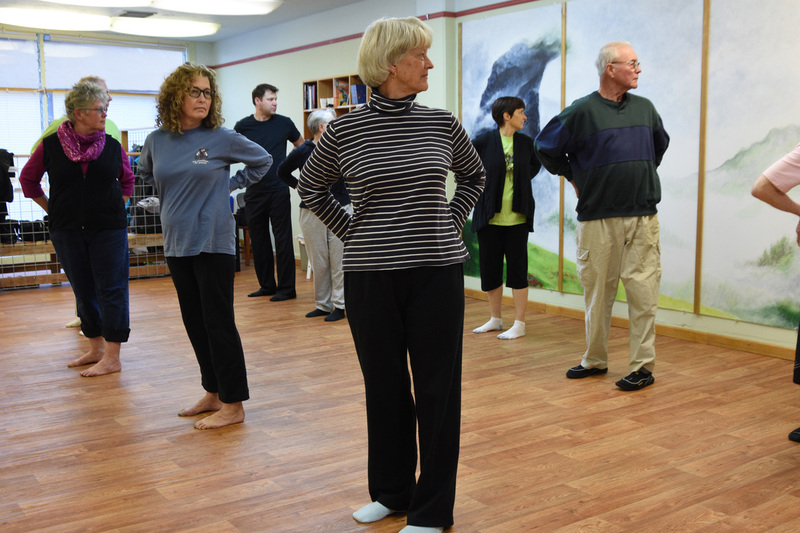 Qigong and Taijiquan instruction and practice is encouraged for everyone with a curiosity and desire to explore being in their body, improve their health, increase their range of movement and expand their knowledge within the traditions of Chinese movement and medical arts. Everyone works within their abilities from where they are at -- whether they are beginners or seasoned practitioners, and movement is difficult or easy. Come meet great folks and have fun! Learn with others for support and inspiration. Instruction emphasizes traditional Chinese movement principles which can lead to pain relief, health and well-being, and with Taiji, martial effectiveness. People with pain or other medical issues, who would like more personal attention, or want instruction on subjects not covered in classes can benefit from private or small group lessons. World Taiji & Qigong Day in the park, special workshops and weekend seminars with Master Su Zifang, Lunar New Year festivities, Arts Walk, movie day, potlucks -- activities for fun, community, learning, and inspiration.